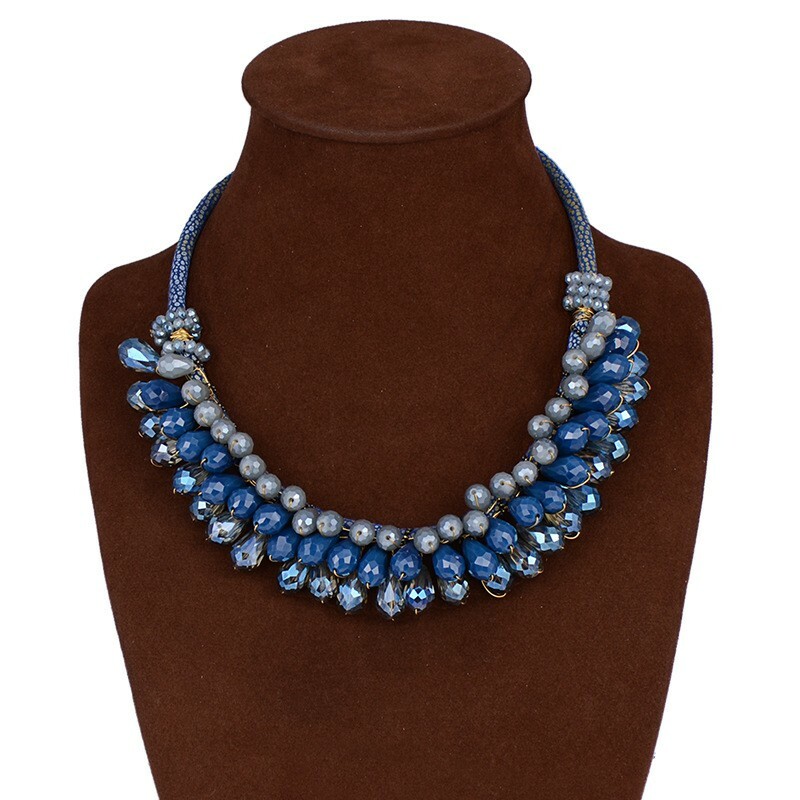 If you want to find the accessorize that like a modern goddess. 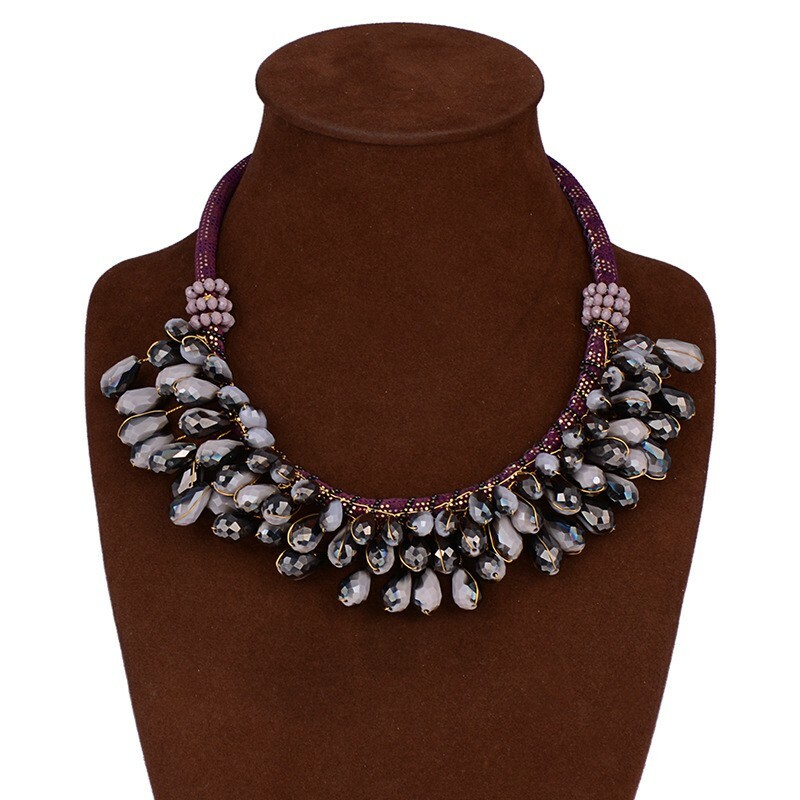 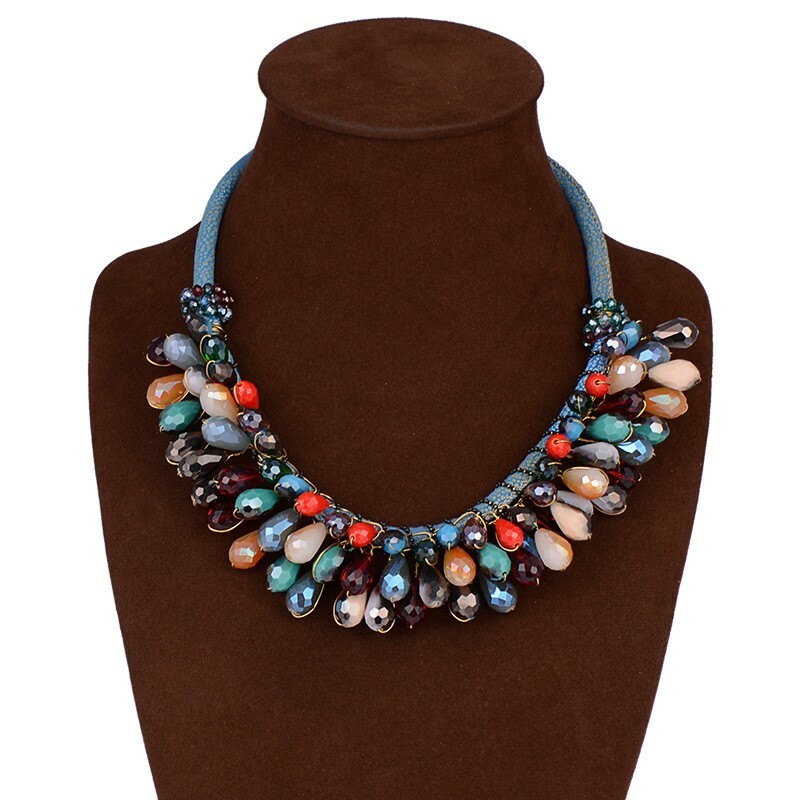 this colorful gemstone cluster bib necklace is. 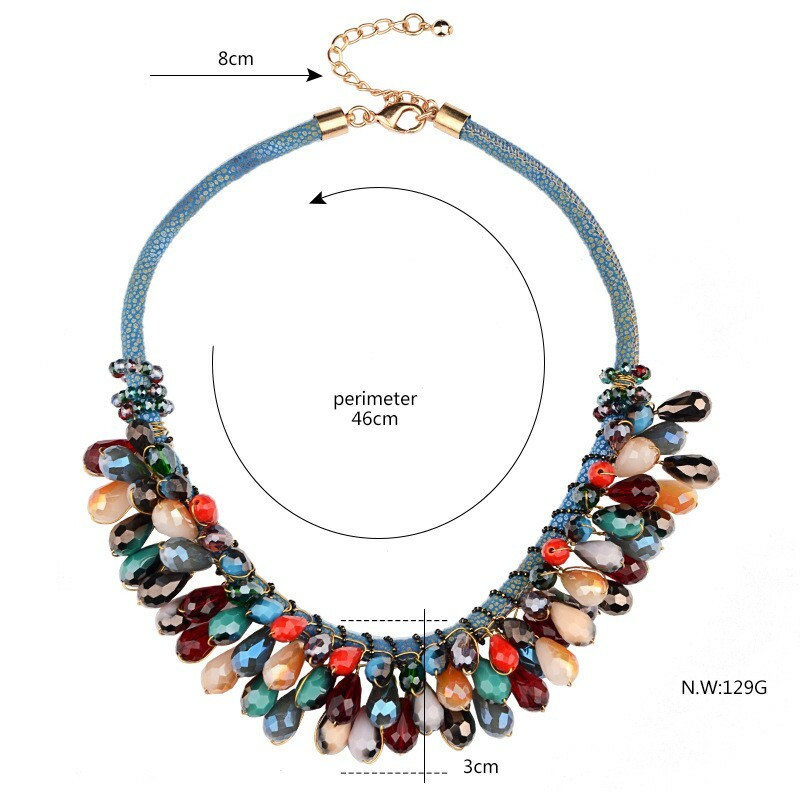 A bold large chunky colorful gems cluster design,some small red white and blue beads embellishments between the gems,complex pattern weave rope.This handmade necklace measures 129 grams weight, chain length 46 cm.